Rolling coils is one of the hardest thing to do in metal forming. This is where the R-M20 comes in and makes easy work of the job. 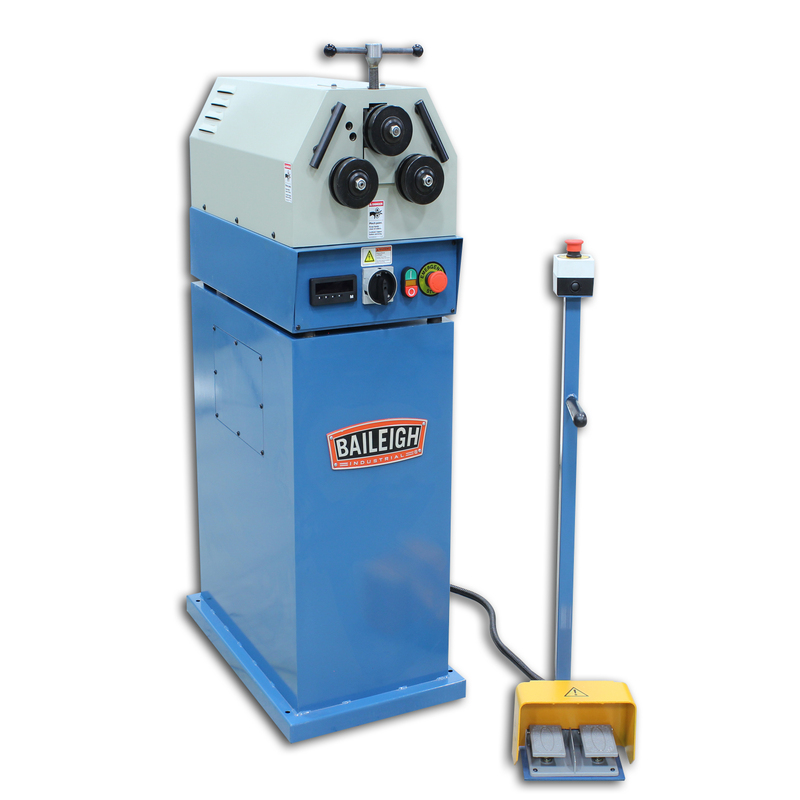 The R-M20 from Baileigh Industrial is the perfect Ring and Angle Roll Bender for doing small diameter material or coils because of its tight compact roll formation. Lateral guides are also adjustable, making it easy to bend just about any width coil imaginable. Rolling operation on the R-M20 is done via a set of foot pedals for forward and reverse roll direction. An emergency stop is also integrated for safety. An easy to read digital display, shows the top roll position to make repeatability a snap. Like all Baileigh Industrial roll benders the R-M20 is built to last and includes a rugged steel frame and hardened ground and polished high strength steel shafts. The R-M20’s head can be removed from the included stand to make this roll bender portable. This would be especially important if going to a job site or just to have extra room in the shop. Another nice feature of the R-M20 is that it is available in both 110V and 220V three phase, allowing anyone form someone working out of their garage to a big industrial fabricating shop.